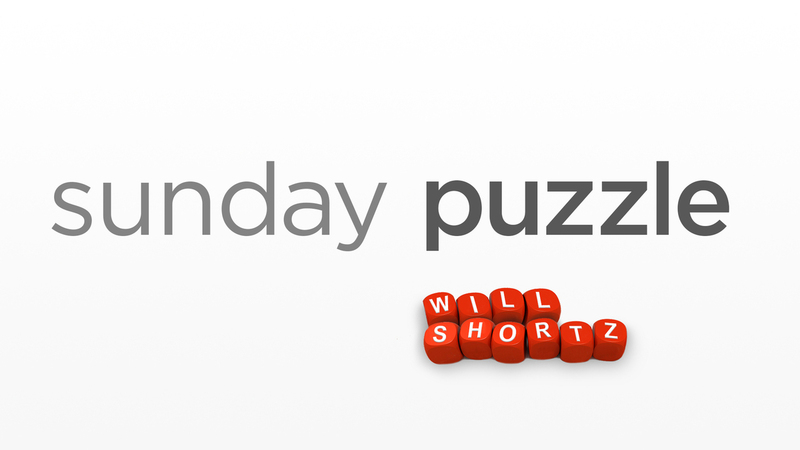 Sunday Puzzle: Let's Play Ball NPR's Lulu Garcia-Navarro and puzzlemaster Will Shortz play the puzzle with Beth Adams from Monticello, Fla.
Last week's challenge: The letters of SWITZERLAND can be rearranged to spell LIZARD and NEWTS — LIZARD being the singular name of an animal, and NEWTS a plural. Name another country with this same property. That is, name another country whose letters can be rearranged to spell two animals — one singular and one plural. It's a major country. What country is it? Winner: Beth Adams of Monticello, Fla. If you know the answer to next week's challenge, submit it here. Listeners who submit correct answers win a chance to play the on-air puzzle. Important: Include a phone number where we can reach you Thursday, April 26 at 3 p.m. ET.